UPDATED: December 14, 2017 at 9:43 p.m.
University President Drew G. Faust on Tuesday joined over two dozen university presidents in the new Presidents’ Alliance of Higher Education and Immigration, a coalition that pledges to support undocumented and international students on campuses across the United States. 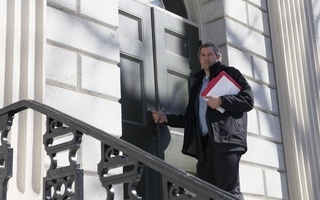 The group announced its launch in a press release Tuesday, citing the “urgent threat” recipients of Deferred Action for Childhood Arrivals currently face. The alliance also called on Congress to pass legislation protecting undocumented students after President Donald Trump’s Sept. 2017 decision to repeal DACA, an Obama-era program that allowed undocumented youth to legally live and work in the United States. “The Alliance will support adoption of best practices on campuses, and work in a unified manner to communicate the need for federal and state policies that create a welcoming environment for immigrant, undocumented, and international students,” the statement reads. The Alliance unites university presidents from across the country, including Princeton University President Christopher L. Eisgruber, Georgetown University President John J. DeGioia, and President Emeritus of Pomona College David W. Oxtoby. In Tuesday’s press release, Oxtoby wrote that pushing for protecting undocumented students "with permanent legislation” is the Alliance’s first priority. 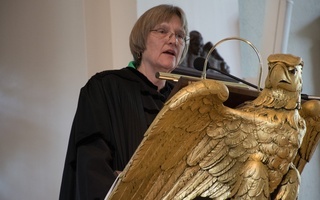 Faust emphasized the importance of American higher education remaining open to immigrants and international students in an emailed statement Wednesday. Roughly 65 DACA recipients currently attend the College. “Members of the Presidents’ Alliance have long understood that our ability to attract energetic and talented individuals regardless of their origin is critical to our success, and I am eager to work together with them to advance a national conversation around the extraordinary value of international exchange and immigration,” Faust wrote. 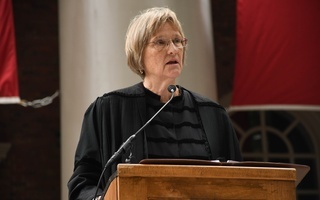 Faust’s membership in the Alliance follows her outspoken opposition to President Donald Trump’s immigration policies, which have created a sense of crisis for undocumented students on Harvard’s campus. Shortly after Trump announced the repeal of DACA, Faust denounced the decision as “cruel.” Since then, Faust has advocated on behalf of undocumented students by signing letters, appearing on national television, and joining the “Dream Coalition”—an organization of business leaders and politicians pushing for legislation to protect undocumented students. Faust sent a letter to Trump in August before the repeal of DACA, urging him to consider preserving protections for undocumented students. After the repeal, she met with South Carolina Senator Lindsey O. Graham on Oct. 23 during his visit to campus. 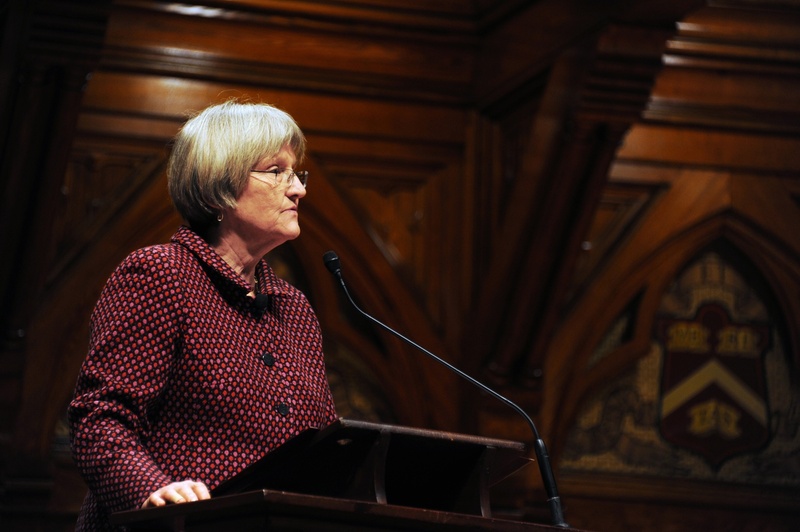 Faust and Graham discussed finding permanent solutions or promoting the BRIDGE Act, a piece of legislation that would temporarily protect undocumented students, she said in an interview last week. I cannot forget the parents, mine among them, who see no hope in attaining these rights in their own near future.